Build up strength and improve flexibility in the convenience of your own home easier. Molded plastic comfort grips Wrist straps prevent injury or accidental slipping Simply bend the bar for concentrated upper body workout easier. 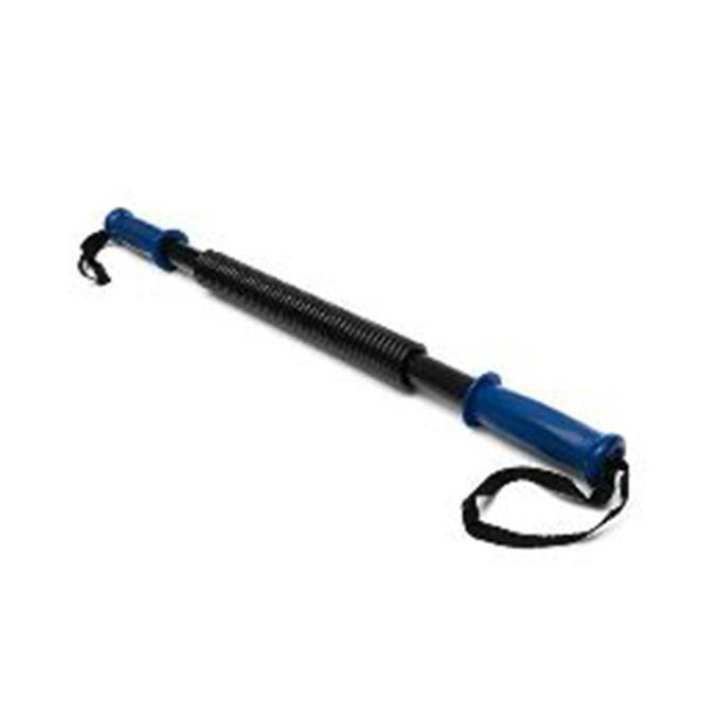 This Power Twister is suitable for Lightweight to Professional use. A power twister is a piece of fitness equipment that consists of a bar with handles on both ends and a resistance spring in the center. An individual can work the upper body, including the chest, shoulders, and arm muscles, by applying force to the handles and bending the bar. Many people consider the power twister a useful strengthening tool because it is relatively inexpensive and easy to transport. Ordered 40kg but they gave 20kg power twister. So disappointed. Order deyer age bola 40 kg debi, but order korle 30 kg dai. vhai 40 kg দিয়া exercise করতে জান বাহির হইয়া যায় আমি 40 kg এর টা use kortasi এজনন কইলাম ।তাই 20-30 kg taeee use kora vhalo. Apnar kas a ki 40 kg er product ti nai? 40 kg order korle kauk den20 kg abar kauk 30 kg? Yes, item is available place an order immediately before the stock runs out!